With shows through Monday, a classic holiday tale gets a modern twist in the current mainstage theater production at Bates. Martin Andrucki, Charles A. Dana Professor of Theater, has adapted German writer E.T.A. Hoffmann’s original story about a magical nutcracker to create a play that’s set in the present day and titled Marie and the Nutcracker. Every Christmas season, audiences around the world flock to productions of the classic 1892 ballet The Nutcracker, the tale of a young girl, an evil Mouseking and the Nutcracker-turned-prince. The ballet was scored by Pyotr Ilyich Tchaikovsky and choreographed by Marius Petipa and Lev Ivanov. Setting out to write a holiday play, Andrucki took inspiration from Hoffmann’s original tale. But while ballet doesn’t figure in Andrucki’s play at all, the playwright has kept much from Hoffmann’s plot that was lost en route to the ballet. As he studied Hoffmann’s novella, Andrucki noticed elements that would translate well onto the stage as a play. He saw an opportunity to tell Hoffmann’s full story and a chance to add reflection on the way that the Christmas holidays are celebrated today. Hoffmann’s story is both darker and more complex than the ballet. As in the ballet, a girl is given a nutcracker by her aloof uncle Drosselmeier just before Christmas. 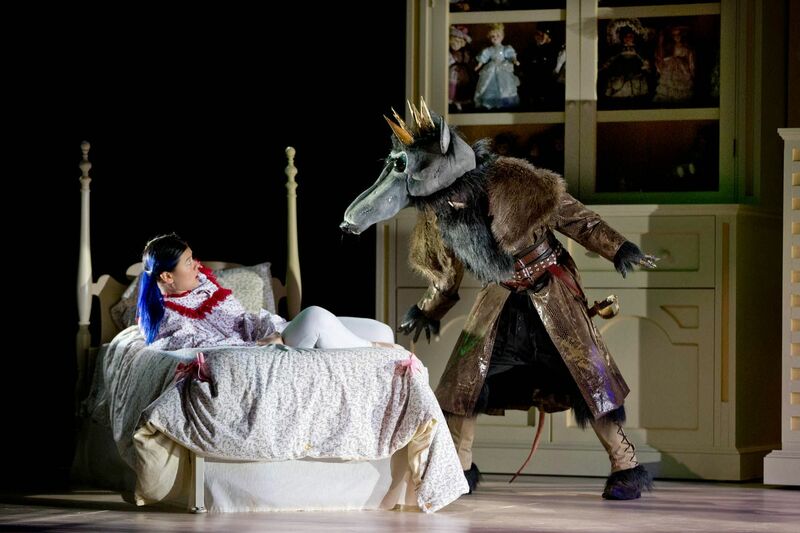 At night, she sees the nutcracker come to life in her bedroom, but her family does not believe her. The next day, Drosselmeier tells her a story, “The Tale of the Hard Nut,” explaining the history of the mutual animosity between the evil Mouseking and the Nutcracker, who was once a man. Drosselmeier’s story gives Marie the chance to change the Nutcracker’s fate. In Andrucki’s version, Marie and her younger brother are children in 2015. Her brother asks for the latest video games for Christmas, and her mother and older sister bemoan the commercialization of the holiday season. Andrucki also directs this production. Directing his own work, he says, creates both challenges and opportunities. “I’m finding it a challenge to try and remain objective about my own work, like a director has to be,” he says. The cast includes Keila Ching ’18 of Honolulu as Marie and Nate Stephenson ’18 of Ellsworth, Maine, as the Nutcracker; Amanda San Roman ’17 of Belle Terre, N.Y., as Marie’s younger brother Freddy, Audrey Burns ’17 of Topsham, Maine, as her older sister Louise, Brennen Malone ’17 of Philadelphia as her father, and Sam James ’17 of Raleigh, N.C., as the Mouseking; and Mara Woollard ’16 of Portsmouth, Va., as Marie’s mother and Colin McIntire ’16 of Darien, Conn., as Drosselmeier. Michael Reidy, senior lecturer and managing director of theater and dance, is the lighting and technical directory. 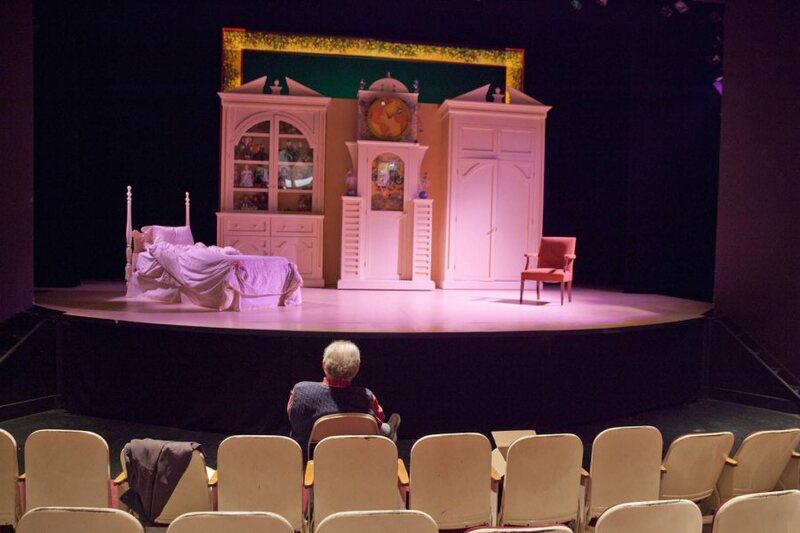 Associate Professor of Theater Christine McDowell designed the costumes, and Judy Gailen created the play’s scenic design. Andrucki says the play is intended for audiences of all ages.